We’re so excited to invite you to join us for breakfast Sunday, June 3rd at our new community partner location, Snooze (an AM Eatery)! 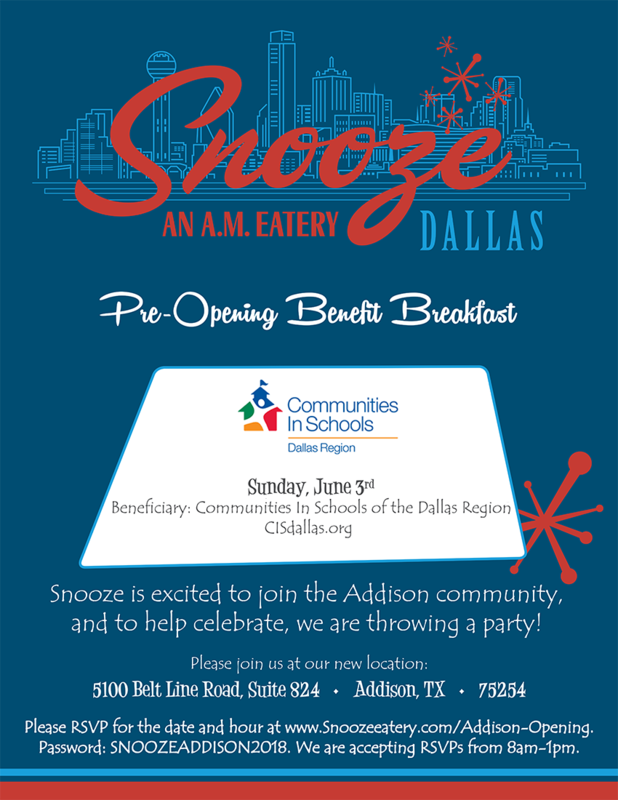 The new Snooze location in Addison is helping us get the word out about the Communities In Schools of the Dallas Region (CISDR) mission, while thanking supporters like you! How, you ask? Snooze will be offering free breakfast to CISDR supporters on Sunday, June 3rd from 8am-1pm at their new restaurant at 5100 Belt Line Road, Suite 824, Addison, Texas 75254. This celebration of YOU is a chance for Snooze to meet their new community and at the same time support CISDR, before their official grand opening Wednesday, June 6th. They’re happy to take care of your breakfast and any non-alcoholic beverages. CISDR staff will be on hand to tell you more about our work this year, share stories and meet you in person! Contributions are welcome and go directly to CISDR, supporting the kids of our area who need it most! This is a special invitation and RSVP only, so see below to make your reservation and we can’t wait to see you! Go to snoozeeatery.com/Addison-Opening to make a reservation. The site is password protected; enter SNOOZEADDISON2018 to access. This is an RSVP only soft opening, so please be sure to make reservations for June 3rd as soon as possible to ensure your place at the table! (Reservations for parties of 6 or less.) 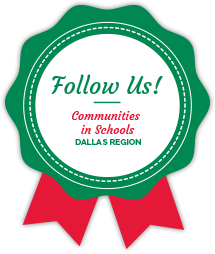 If you have any questions, please email us at connectcis@cisdallas.org. Can’t wait to see you there!